Yantra for the worshipper of Maa Lakshmi and Lord Kuber. Goddess Lakshmi is the Goddess of wealth and good fortune. Lord Kuber is the Lord of all Treasures. Lord Kuber bless the sadhak with material success and wealth. Lord Kuber is worshipped and propitiated for quick financial gains, unexpected gain of money through gambling, lotteries etc. Lord Kuber is worshipped for prosperous business. In our efforts to provide the best quality and authentic ancient hindu yantras to our esteemed customers , Mahalakshmi and Kuber yantra combination yantra is made on auspious day with Lakahmi Yantra and Kuber yantra engraved on high quality copper and gold plated making a perfect combination yantra of Maa Lakshmi and Lord Kuber. 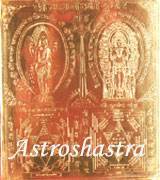 Astroshastra would energise this Yantra after getting an order from you in your name to give to maximum benefit.